The requirement to pay income tax on Social Security Retirement benefits may come as a surprise to many retirees. Baby boomers beware. It is a fact. Many Americans don't realize that the Social Security benefits they receive in retirement can be subject to income tax. But millions of Americans will find out in the years to come, because the percentage of Social Security benefits that they'll end up returning to Uncle Sam in the form of income taxes will rise dramatically, according to a study from the Social Security Administration. How much will income taxes on Social Security rise? In the past, most of those who paid income taxes on their Social Security benefits are among the top half of income earners. The quarter of the American population that had the highest income paid about 14% of their benefits to the government in 2010 in the form of income taxes. That compared to just 5% for those in the second-highest 25% of the population, and the bottom half of the income distribution paid 0.5% or less of their benefits in income tax. But the SSA sees that percentage rising dramatically, and most of the additional burden will be on the middle class. By 2025, the percentage of benefits that upper-middle class Americans pay in taxes on their benefits will have doubled to almost 10%, and families in the second-lowest 25% of the income distribution will have seen their tax liability rise sixfold to 3%. The main reason why people will pay more of their Social Security benefits in income taxes has to do with the formula the IRS uses. 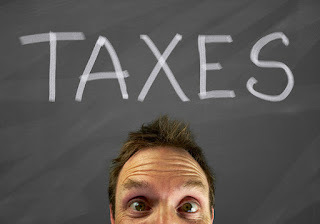 In order to figure out how much of your benefits you have to include in taxable income, you have to total up all of your taxable income, and then add in half of your Social Security benefits. If that figure is more than $25,000 for single filers or $32,000 for joint filers, then up to half of your benefits can get taxed. If it's above $34,000 for singles or $44,000 for joint filers, the maximum percentage of your benefits included in taxable income rises to 85%. Most IRS formulas are indexed for inflation, but the one that calculates Social Security taxation isn't. Therefore, as inflation pulls wages up, more people will pass the dollar thresholds listed above. Unless lawmakers add an inflation index provision, a law that initially affected only high-income taxpayers will slowly but surely affect all Americans. For an individual, 50 percent of Social Security benefits are subject to income tax if the individual’s income is more than $25,000 a year and 85 percent of benefits are subject to tax if the income is more than $34,000 a year, according to the Social Security Administration. For a couple, the respective income levels are $32,000 and $44,000. Income for these purposes includes adjusted gross income, tax-exempt interest income and half of the Social Security benefits. Social Security is a primary source of retirement income for tens of millions of Americans, and financial planners urge people to take maximum advantage of the Social Security benefits they've earned. For many planners, that means advising their clients to wait beyond the early claiming age of 62 before taking their benefits. But even though waiting can be smart for some people, there are good reasons for others to go ahead and take benefits as soon as possible. Social Security pays out smaller monthly benefits to those who claim early, but the extra payments give early claimers a head start over those who wait. The Social Security Administration's goal initially was to set things up so that timing didn't have a material impact on how much you would receive in benefits over your lifetime. If you don't expect you'll live as long as the typical Social Security recipient, then claiming early can make sense. Keep in mind, though, that if you have a spouse or other loved ones who will claim benefits based on your work record, your decision can affect their benefits as well. But if you don't have family members who will claim survivor benefits, then you'll end up better off claiming early if you expect not to reach the age that the SSA's life expectancy projections would predict. The primary reason to wait to take Social Security benefits is one based on mathematics and maximizing your family's total benefits. For some, however, getting the biggest check possible isn't as valuable as living the life they want. For many, taking Social Security early allows them to retire at an earlier age or cut back on their hours. Others prefer to use the additional cash early in their retirement when they can still enjoy it the most. Financial planners would tell you that you're leaving money on the table in many cases, but the actual value of those additional dollars might not be as much as getting to pick the time when the money will have the greatest impact. People who die earlier should start drawing their Social Security Retirement Benefits earlier. Life-expectancy is the most basic indicator of social well-being. The minimal increase for low-income workers and the widening disparity between the poor and the rich is a stark commentary on the immense growth of social inequality and class polarization in the United States. It underscores the fact that socioeconomic class is the fundamental category of social life under capitalism—one that conditions every aspect of life, including its length. The Brookings Institution findings shed further light on the catastrophic decline in the social position of the American working class. They follow recent reports showing a sharp rise in death rates for both young and middle-aged white workers, primarily due to drug abuse, alcoholism and suicide. Other recent reports have shown a dramatic decline in life expectancy for poorer middle-aged Americans and a reversal of decades of declining infant mortality. Late last year, lawmakers made changes to benefits available to Social Security participants who waited until full retirement age to claim benefits. Among them were the repeal of the restricted application or file-as-a-spouse-first strategy and the file-and-suspend strategy. Under a restricted application, those who reached full retirement age could elect to claim only spousal benefits, leaving their own retirement benefits untouched. Similarly, using file and suspend, someone at full retirement age or older could file for benefits but immediately suspend them and still allow a spouse to claim spousal benefits. As a result of these legal changes, there's no longer as much incentive for married couples to wait until full retirement age -- currently age 66 -- to claim their benefits. The thousands of dollars that these couples will no longer be eligible to receive could be enough to push the balance toward claiming earlier rather than waiting, especially if some of the other factors above would ordinarily lead them to take benefits at 62. When to claim Social Security is a tough decision that involves plenty of variables. But even though many financial planners urge their clients to think twice before claiming benefits at the earliest possible age, there are situations where it makes more sense to go ahead and take Social Security at 62 rather than waiting. Financial advisors need to know this and be prepared to warn clients about the issue. 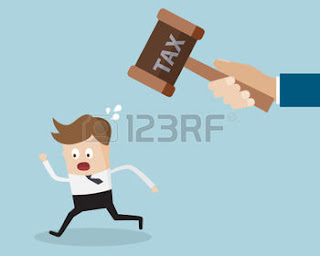 Tax planning affects when a person should take Social Security Retirement benefits and when benefits should be delayed and that money instead taken from an investment portfolio. In most situations, a retiree is better off delaying receiving Social Security benefits until he or she is 70 years old because benefits grow by about 8 percent a year until the recipient reaches 70. In addition, with the current high market value, taking withdrawals from a portfolio now will not deplete the portfolio as much as they would if the market makes a correction. When a retiree hits 70.5 years of age, a minimum distribution amount is required to be taken from an IRA or 401(k). If some money has already been withdrawn before the person reaches 70.5, the required minimum distribution will be less and the tax burden decreased accordingly. Each client’s situation is different. 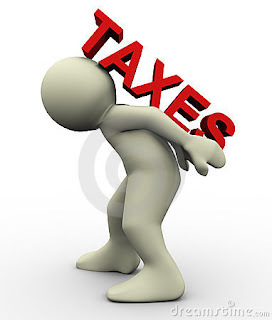 The tax implications must be determined for each retiree. But advisors may want to help their clients build an income bridge so Social Security Retirement benefits can be delayed until they reach their maximum. The oldest Baby Boomers are facing a big birthday this year as they turn 70, which brings with it some forced financial decisions. The oldest boomers will have to start taking required minimum distributions (RMDs) from their qualified retirement accounts and those who have delayed receiving their Social Security benefits will start receiving that money. Ideally, the oldest baby boomers began talking with their financial advisors and planning for retirement a decade ago, says Bill Van Sant, senior vice president at Girard Partners Ltd., a Univest Wealth Management company in King of Prussia, Pa.
“This is an important birthday. Those turning 70.5 years old can take their RMD the next year but we advise them to take it the year they turn 70.5 or they will have to take two in the following year, which could push them into a higher tax bracket for that one year,” Van Sant says. The RMD for retirement plans is determined by a formula based on the value of the assets in the plan. 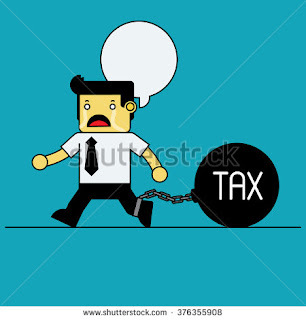 In most cases, the money was not taxed when it was contributed, so it is taxed as it is taken out. If an annual withdrawal is missed, the penalty is a stiff one, says Mike Piershale, president of Piershale Financial Group in Crystal Lake, Ill. Piershale had a client who was unaware of the required withdrawal, which in her case turned out to be $16,000 for the first year. “She would have been penalized $8,000 or 50 percent because no one had told her she was required to take money out of her tax qualified plan. We managed to get the money back for her by explaining to the IRS that it was a mistake on her part that first year,” Piershale says. Withdrawals are required from traditional IRAs and also from company 401(k) plans, if the person is no longer working for the company. “We make sure we remind our clients of the required withdrawals before they turn 70,” says Piershale. Ellen Jordan, senior vice president at Bryn Mawr Trust, a wealth management firm in Bryn Mawr, Pa., notes that baby boomers are the first generation that has saved in tax deferred accounts because companies phased out pensions. Jordan says Bryn Mawr sometimes advises clients to start taking distributions from tax-deferred accounts gradually before they turn 70.5 so they are not pushed into a higher tax bracket when they begin required withdrawals. Advisors also need to remind clients that Social Security benefits can be taxed. For an individual, 50 percent of Social Security benefit is subject to federal income tax if the income is above $25,000 and 85 percent is taxed if the income exceeds $34,000, according to the Social Security Administration. The limits for couples are $32,000 and $44,000, respectively. This year presents another deadline as well, advisors are reminding their clients. The Social Security Administration is phasing out the strategy known as file and suspend. Under this strategy, one spouse is able to file and suspend his benefits to allow the other person to collect spousal benefits. This allows the first spouse’s benefits to grow until age 70. The SSA has given couples until the end of April to file for this benefit, after which it will no longer be available.